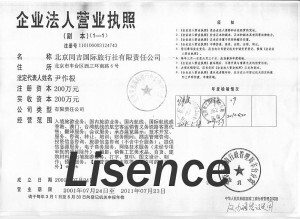 Wild Great Wall Adventure Tours (License Number: L-BJ-CJ00076) works under the Chinese license of TTS (Tongji International Travel Service Co., Ltd) registered under Beijing Tourism Administration based in Beijing. TTS is the official member of Beijing Tourism Industry Association (BTIA) established in July 1993. Our small groups mean you will get away from crowds, your guide will always be available and you can receive the personal attention you deserve. On each of our active Great Wall hiking tours, we focus on a different section of wild Great Wall, getting you out of the vehicle, and into the scenery, giving travellers a SHORT, SHARP adventure travel experience. You won’t need any training or any exercise to try hiking on wild Great Wall. Responsible Travel and Tourism: Wild Great Wall Adventures aims to offer authentic, grass-roots adventurous holidays. Responsible tourism means doing sustainable travel business and travelling with a mind to how it affects the places we are going. We are dedicated to ensuring we adopt a responsible attitude to the areas we travel through.